MRC president Brent Bozell appeared on Friday's "Fox and Friends" in the 8am hour beginning at 8am Eastern. 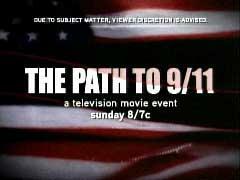 The topic discussed was the censorship campaign mounted by Democrats against the ABC miniseries, "The Path to 9/11." Today's starter topic: President Bush's anti-terrorism speech. Love it or hate it? Open and ready for discussion. Today's starter: Mexico's leftists are refusing to concede their electoral loss. Are they taking a page from Al Gore? A group of incensed Ukrainian protestors gathered outside the New York Times headquarters in Midtown Manhattan on Friday, November 18, to demand the newspaper return the Pulitzer Prize won by former New York Times reporter Walter Duranty. "The sky is blue and the Pope is Catholic. I want to see how you spin that phrase." "A new species of dinosaur is discovered, the Mediasaurus, extinct because it could not adapt to change." Discuss topics not covered on other postings here. If the topic doesn't fit, you must discuss it (on this thread). Use this post to discuss topics not covered in other articles. TUCKER CARLSON – MSNBC news anchor -- and often controversial -- conservative political TV pundit and columnist. He will be partnered with professional dancer Elena Grinenko, who makes her series debut this season. Because news and discussion don't know weekends. And since the ideology poll thread got full. UPDATE 16:49. This thread is full, please move all moderation discussion to this new thread. Jokes, rants, discussion, and whatever else. Fill 'er up, folks! Links, rants, and discussions about miscellany. Discuss topics not covered on other threads here. 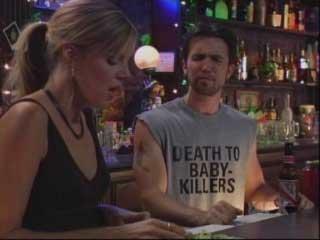 Last week Brent Baker posted a preview of an episode of FX’s new sit-com, It’s Always Sunny in Philadelphia entitled “Charlie Wants an Abortion.” This episode will re-air Wednesday night at 11:00pm EDT, but check local listings for other dates and times.